On Saturday, February 11th, 2017, the Texas FlyFishers will celebrate the 25th Anniversary of the Annual Dr. Ed Rizzolo Fly Tying Festival and I would like to extend you an invitation to be part of this great event. The Festival will take place in the auditorium at the Bethany Christian Church, 3223 Westheimer Road in Houston, Texas, from 8:30 am to 4:30 pm, with lunch and refreshments provided for the tyers. We would like to introduce David Nelson, the Featured Tyer for this year’s festival. We hope to see you there. Hello, my name is David Nelson. I’m a 45 year old father of three with a passion for fly tying and fishing. I’ve been fishing since I was 3 years old and fly fishing and tying for 17 years. I live near Kensico Reservoir in White Plains, New York. I grew up in Manhattan and Westchester and spent many summers fishing in Mahopac, New York, and Lake Sunapee, New Hampshire. I have also fished the waters around Arcata, CA, as well as Big Pine Key, Florida and Brazil. My grandmother instilled in me a deep love for the outdoors from a young age and, when I was five-years-old, my uncle taught me how to fish although, he’ll tell you he “just brought me to the water.” My passion for fishing quickly emerged and, ever since I have seldom been found without a fishing rod. To this day, my family recalls how I would fish whenever or wherever I could, or even “cast into a puddle,” and somehow have the best luck of anyone they had even known. I started fly-fishing at age 26 and, complete and total immersion into this new world was rapid and, I have focused on it ever since. Given my fishing prowess with bait and spin gear, the transition to the fly was enjoyable, and I found success in a relatively short time. I started tying immediately and this was as fun as the fishing itself. My flies have not been dreamed up and created from a void. They have grown from experience and from the influence of many talented fly-tyers, whom I hold in great reverence. I suppose my own style could be described as an attempt to connect my own understanding of fishing with the knowledge of the fly-tying Sages. At heart, I treat each of my flies as followers of a great fly-fishing tradition and as members of an extended family of finely-tied flies; they are children of the Sages. 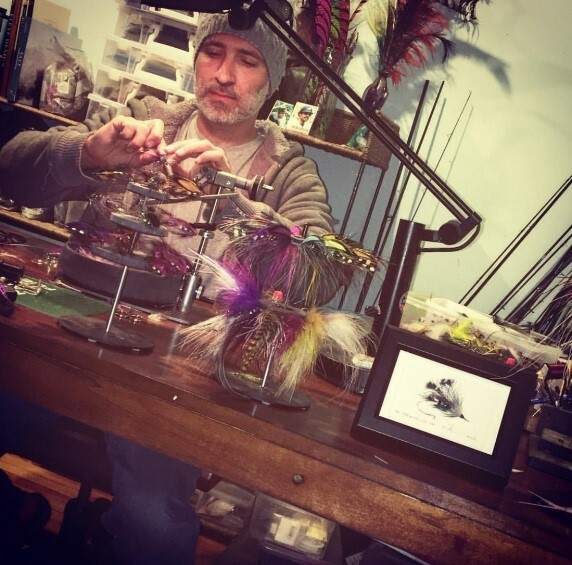 I tie flies in homage to the fish, out of respect to the beauty of the world we live in, and to its many game fish that I pursue with love and admiration. They are more than worthy of the time and creativity I expend at the vise. Whether a fly takes five minutes or forty-five minutes to tie, when I tie it on the end of my line it feels good; it feels right. My focus was mainly on trout at first. I tied and fly-fished and read about fly-fishing as much as I could. Working at a restaurant on Five-Mile River, a tidal river in Rowayton, Connecticut, I was walking along the docks one night where I witnessed a worm hatch, saw feeding stripers and ran back to my car and grabbed my trout gear. I should have taken off the 4x tippet and, the first striper reminded me. After re rigging with some 1x, I soon had my first fly caught striper and, yes, I bought an 8 weight shortly after I realized the Nirvana that existed right outside my workplace in the form of Saltwater fly fishing and, particularly for Striped Bass. Over the many years of pursuing this creature I have increasingly noticed the similarities between this fish and my beloved trout. 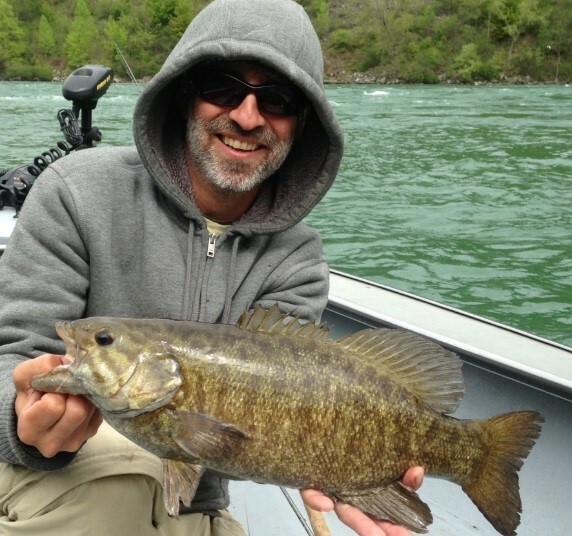 I am of the growing belief, (as Kenny Abrahmes espouses) that they are indeed “The Perfect Fish.” There is little that compares to casting a floating line/fly combo to sipping five to ten pound stripers. I have yet to catch bigger striper on a dry fly. It seems logical that all fish that feed in current would have many similarities. When stationed in current, Striped Bass and Trout have many things in common with Steelhead and Salmon, including their preferred actual foodstuffs, their lies in the water, and how they actually go about feeding. Swinging flies for Trout, Stripers and Albies all have a place and time of year and, my flies show this seductive movement and profile under tension. I love to fish two-handed overhead and spey rods to stripers, whether from a boat or onshore. The spey rods really help to cover the water in some urban scenarios that do not allow room for a back cast, and the overhead rods really shine when you need some extra distance. 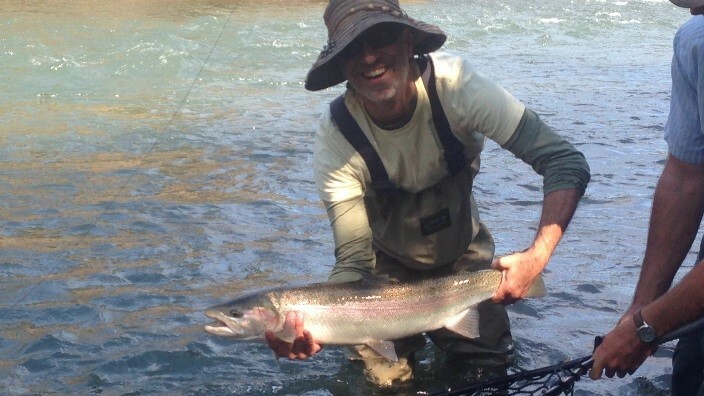 Over the past few years I have become mildly obsessed with fishing for steelhead, both the anadromous Pacific Ocean fish on the Klickitat or Deschutes, as well as the great lakes variety of lake-run rainbows found in rivers like the Cattaraugus in Western NY. Both the flies and methods used really have focused my tying and casting skills. There’s so much room for creativity on and off the water and, yes, they are the fish of 1000 casts when swinging for them so it makes sense to use a great fly.